The NRS Crux is a Womens' specific whitewater kayaking drysuit with all the features, durability and comfort that you could ever need in a top-quality dry suit with a cut that's especially for women. Finding the right dry suit can be tricky as it can be difficult to find a good combination of quality, features and fit. 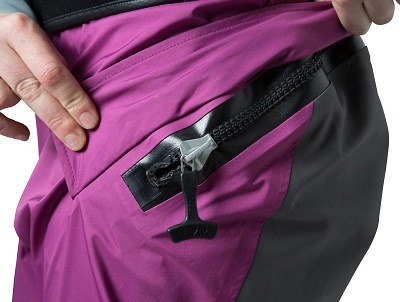 The NRS Crux Womens Dry suit thankfully comes to the rescue. The NRS Crux Wonens suit is not only comfortable and cut especially for the female form, but also performs to the very highest levels. Right from the start you notice the quality of the NRS Crux Womens, it feels incredibly light but also the material is reassuringly durable. Getting into the suit is a breeze with a long over the shoulder plastic zip that makes getting into the Crux and then putting your head through the neck seal surprisingly simple.The shoulder zip is easy to reach and close and once on the suit feels snug but roomy at the same time. On the water you are reassuringly dry no matter what you get up to as the NRS Crux womens suit features latex wrist and neck seals. 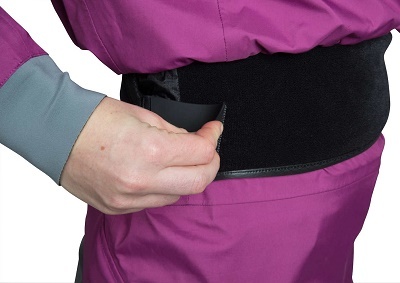 The Eclipse 4 layer material keeps the water out and warmth in and all the time you feel protected. 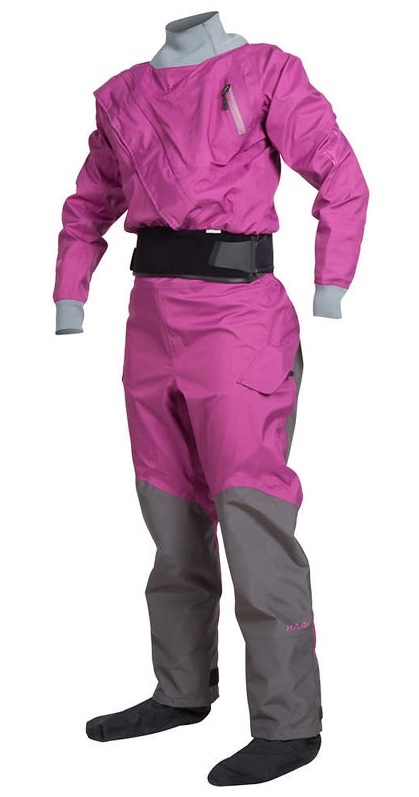 Overall, there are other options for dry suits out there, but the NRS Crux Womens really is one of the best. The NRS Crux Womens is available for delivery thoughout England, Wales, Scotland, Northern Ireland & Ireland. The NRS Crux Womens is available for instore collection from Norfolk Canoes or from any branch within the Canoe Shops Group.